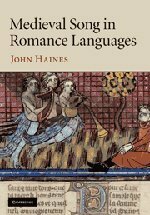 John Haines presents a detailed survey of songs performed in Vulgar Latin and early Romance languages from around 500 to 1200. The first part of the book discusses this enormous body of neglected songs according to the categories of lament, love song, epic and devotional song. Medieval sources - mostly condemnations - ranging from sermons to chronicles attest to the long life and popularity of this music performed all throughout this period, and predominantly by women. Performance contexts range from the burial of the dead to the nursing of infants. The study argues for the reinstatement of female vernacular song in the mainstream of medieval music historiography and ends with a discussion of the neglected medieval lullaby. The second part of the book presents an edition and informative commentary of the dozen surviving witnesses with musical notation in the early Romance period prior to 1200. View More In Sheet Music & Scores.